Netflix just surprised us by announcing and releasing the premiere date and new poster of the new season of Stranger Things. The wait is over guys. Can't believe that Netflix recently just announced the premiere date of Stranger Things season 3 and as well as released a new poster of the series. And honestly, we can't stop hyperventilating over the news. Seriously, could there be a better start to our New Year than this? Absolutely not. As per Netflix, the third season of one of its most watched shows will return on the fourth of July after almost 16 months of the release of the second season. Furthermore, last year in August at the Television Critics Association’s press tour, Netflix programming executive Cindy Holland promised the audience that the new season will be “worth the wait”. Stranger Things 3, July 4." 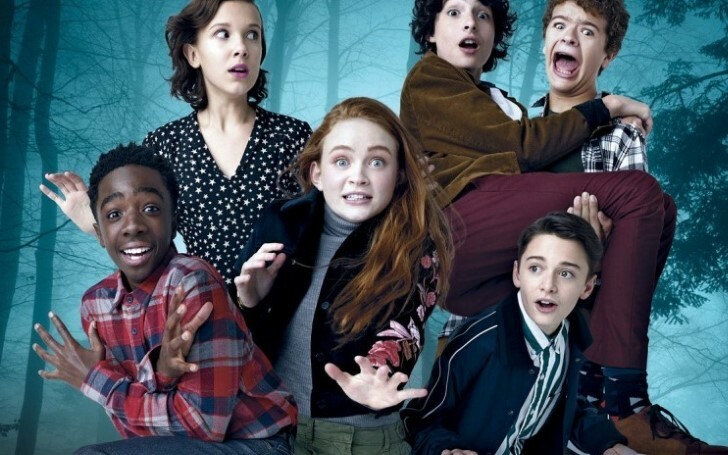 The poster includes lead character, Millie Bobby Brown who appears as Eleven holding hand with Finn Wolfhard who plays the role of Mike in the show. 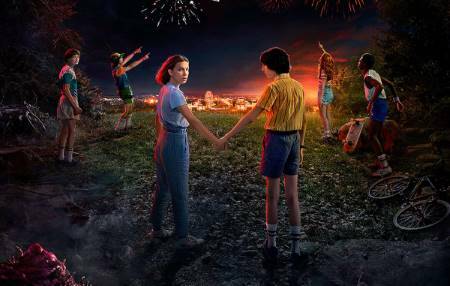 Eleven is seen looking back with horror on her face whilst the other kids play in the background as fireworks light up in the sky. "STRANGER THINGS 3. JULY 4th. 2019 IS ALREADY AMAZING"
Netflix also further revealed that the Fletch inspired new season takes place back in 1985. Previously in the last season, fans witnessed Will being rescued but with just a few details. And when everyone discovered that Will is still being influenced by entities from the Upside Down everyone realizes the threat to their world from the Upside Down saw. But however, much plot and stories behind the new season are not revealed by Netflix yet. The new season of Stranger Things that includes eight-episodes already looks intense and terrifying, though. But, it is confirmed the show will feature a lot more of Steve Harrington (Joe Keery) and his splendid gravity-defying hairdo. So, on a scale of 1-10, how much of you guys are thrilled for the third season?